17 Jul What Are You Looking For? How many of you in the past month used some type of GPS to find your way to a destination? How many of you in the past month got behind the wheel of your car for a random drive to nowhere in particular, just out to meander wherever the road ended up taking you? You know, that used to be a “thing” here in the States. My grandparents called it taking a “Sunday afternoon drive.” But that old tradition has gone by the wayside. We are busy people with crammed, jam-packed schedules. Instead of roaming about, we have helicopters and strategically placed cameras that monitor the roads, traffic alerts on our favorite radio station, and apps on our phones that notify us of bottlenecks, accidents, and congestion, all so we can choose the fastest, most direct route possible to our intended destination. We don’t have time to wander. In such a destination-obsessed culture, it can be easy to miss the fact that we are looking for something—desperately looking for something—that can’t be found by Google maps. There is a quest for some sort of awakening, a deep hunger for a renewal of the soul and spirit, a desire for connection, a yearning for meaning and purpose, all of it lurking behind the scheduled chaos that fills our lives. Many people, both inside the church and outside it, struggle to name this “thing” that we’re seeking, and in that, nothing has changed in 2000 years. People in Jesus’ day didn’t know what they were seeking either. “What are you looking for?” That is the question Jesus asks when he encounters Andrew and his friend. During the course of Jesus’ ministry, it would become obvious that folks were looking for a great many things from Jesus. As his reputation spread, there were throngs that crowded around him with various diseases and ailments. They were looking for healing. As his popularity grew, there were religious authorities who questioned his theology and orthodoxy. They were looking for a fight. As his miracles multiplied, there were crowds of hangers-on, there to see the show. They were looking for entertainment. As his wisdom spread, there were seekers like the rich young ruler who tried to second-guess Jesus’ meanings. They were looking for an easy way to God. As his fame circulated, and his famine-quenching powers became the talk of the town, there were lots of people with needs and wants who followed in his wake. They were looking for security. And what about us? What are we looking for? People come to church looking for something. Some are looking to get out on time, so they can beat the Baptists and Methodists to brunch. Some are seeking community, for a place to belong, to connect with other people, and connect more with God in the process. Some are looking for a foundation upon which to build their lives; others for an experience of divine transcendence; still others for a connection with the past, with what life was like when they were growing up. Some are looking for healing of body, soul or spirit. Some seek redemption, new life on the other side of mistakes made or opportunities missed. People come to church looking for many things. Follow. Come. See. If we want to find what we are looking for, we start by following Jesus. Whatever road we thought we were on, we leave it and go after Jesus on the road he is walking. Whatever agenda we thought we were pursuing, we set it aside and make Jesus’ priorities our own. Whatever kingdom we’ve been building, it becomes secondary to planting, watering, tending, and reaping in the kingdom of God. Following Jesus means picking one direction—or rather, one person—to pursue. It’s the equivalent of veering off the highway and driving down a dirt road, which is why it’s a major deviation from the path everyone else is on. This path is about imitating Jesus which is at the heart of discipleship. Information is important, but following means we move beyond what we believe about Jesus to doing as he does: loving people we don’t like or who are hard to love; praying for those who hurt us and desiring good and blessing in their lives; being generous with those we know and those we don’t know, not because they “deserve” it, but because God’s own heart overflows with generosity of grace and mercy towards us; doing the hard work of community, which means we don’t limit the people in our lives to those who think like we do. Following has concrete consequences. Following means we go “all in” with Jesus, nothing held back or kept off to the side that we can control without any interference. It is worth noting Philip’s response to Jesus’ call to follow him. Unlike other places in the gospels where the disciples immediately drop their nets, leave their families or get up from the table and fall in behind Jesus’, Philip’s first response is to go and get another follower. So compelling is Jesus’ invitation that Philip recognizes that he knows somebody else who is never going to find what he’s looking for apart from this One who is calling him. Jesus’ invitation to Andrew to “come and see” is now spoken by Philip to Nathanael. It is an invitation that echoes throughout John’s Gospel, in the Samaritan woman’s call to “come and see a man who told me all that I ever did,” to the invitation to Jesus to “come and see the tomb of Lazarus,” to Jesus’ post-resurrection invitation to “come and eat breakfast.” Each time, the expression prepares us for a revelation of divine identity, a revelation that demands a response. Uttered by Jesus, Philip, or the woman at the well, there is no argument or coercion in “come.” No brow-beating, no judgment. I think that suggests that if we are going to find what we are looking for, if we are going to find that which speaks to the deepest longings and hopes of our hearts, it matters how we come: with humility, rather than answers; with honesty and openness rather than preconceived ideas and preset boundaries. You see, I’m afraid that the problem is not that we can’t find what we’re looking for; it’s that we’ve already made up our minds about the answer to our yearning. It’s a new relationship or a better job or more recognition or a different body. We can’t come to Jesus to receive from him if our hands are already full and we’ve already decided what we want to hear from him. Follow. Come. See. “You will see greater things than these.” Nathanael is amazed that Jesus already sees and knows him, but Jesus says, in essence, “you ain’t seen nothin’ yet.” Those who responded to Jesus did come and did they ever see! They saw water turned to wine and five thousand fed with a few loaves and some fish. They saw Samaritans and outcasts welcomed by a Jewish holy man. They saw the lame walk, the blind see, and lepers cleansed, even on the Sabbath day. They also saw Jesus wash their feet, break bread, and speak of betrayal. They saw him hang on the cross and breathe his last on a Friday. They saw alive him who was dead, risen from the grave. 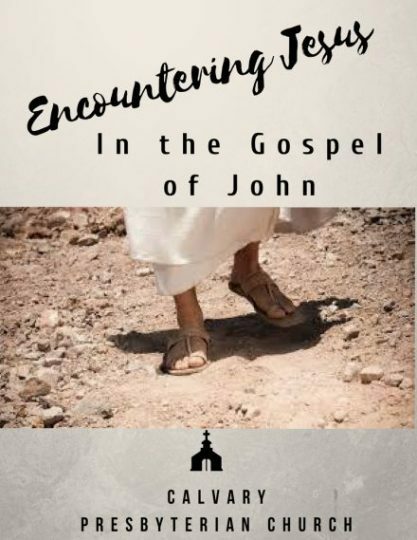 In a twist that we are still grappling with, later in John’s gospel Jesus tells his disciples that even the miraculous things they witnessed are nothing compared to what they will do when Jesus is gone. “Very truly I tell you, the one who believes in me will also do the works that I do and, in fact, will do greater works than these, because I am going to the Father. I will do whatever you ask in my name, so that the Father may be glorified in the Son. If in my name you ask me for anything, I will do it.” (14:12-14) Those who accept the invitation to follow Jesus and to “come and see” have the potential to do the things Jesus did, in the power of the Holy Spirit. Too many Christians and too many churches are content to do only what we can do, staying on the safe path, taking only the roads that are clearly marked, the ones that are well worn and smoothly traveled, the ones for which we have a GPS to tell us exactly where we are and where we’re going. The problem is that these are the ways of the world—security and possessions, power and prestige, success and recognition, being right and being in control—but they are all ultimately dead ends. They cannot fulfill what the human heart really seeks. That will be found only in the person of Jesus Christ and today, he is inviting you again to follow him, to “come and see”, to journey with him, for in the quest itself, there is life to be found in the one who walks with us; and from time to time, by God’s grace, we just might glimpse in him what every human being is looking for. Thanks be to God. Amen.